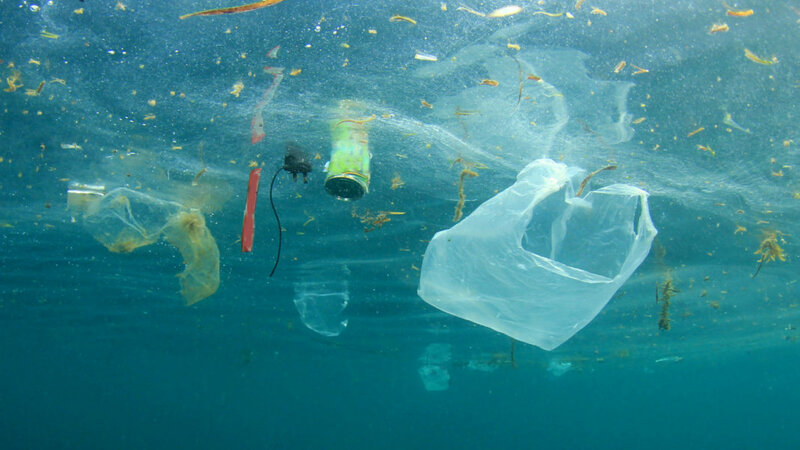 Every year, eight million metric tons of plastic enter the ocean, threatening just about every marine species and ecosystem. As the global population grows and countries develop, this is only going to increase, eventually threatening us as well—if it isn’t already. The Great Pacific Garbage Patch swirls between Hawaii and California, made up of microparticles from plastics of all types finding their way into the ocean and being broken down by sun, wind, waves, and microbes. Four other patches of similar size exist in the Atlantic and Indian Oceans, as the plastic gets trapped in the rotation of convection currents. This staggering amount of plastic is wreaking havoc. Many marine animals, from seagulls to sharks, mistake the plastic for food, which not only causes blockage or perforation of the intestinal tract, but leaches toxic chemicals into the food chain. The National Academy of Sciences estimates 90 percent of seabirds have ingested plastic. Heavy metals like mercury, cadmium, and antimony, which are used during production, are also released as the plastic is broken down. If the plastics make their way to a landfill or a body of water, for instance, the heavy metals they contain may pollute drinking water or have other environmental repercussions. The good news is, someone is finally cleaning it all up. 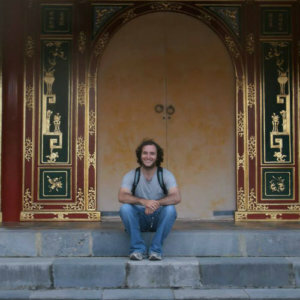 Founded in 2013 by Boyan Slat, an 18-year-old from the Netherlands, The Ocean Cleanup has been dubbed “the largest cleanup in history.” With the help of a growing list of international partners as well as some advanced technology, Ocean Cleanup’s mission is to help remove the five trillion pieces of plastic currently in the ocean, with deployment scheduled for next year. In August 2017, the project finalized the design for a u-shaped buoy made of high-density polyethylene nearly two kilometers in length, with a screen extending a few meters below. 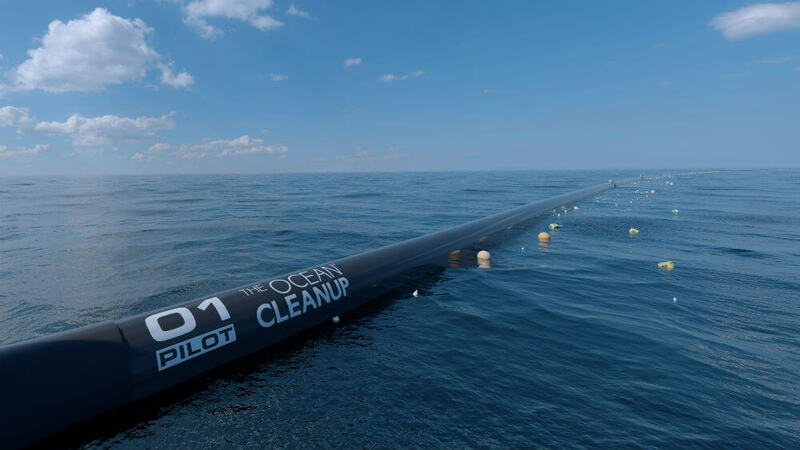 The system will be positioned based on a series of data points like ocean currents, weather, and location of the plastic and nets. These data points are fed into an algorithm to determine the buoy’s ideal point of deployment. At this point the system will be free to float autonomously, meaning it needs no source of power and has a much longer lifespan when compared with a fixed structure. Also, because most plastic floats on the ocean’s surface, the buoy will be able to work effectively without impeding sea life. As currents push the plastic and nets, the buoy will be positioned to capture it, and the u-shaped design will funnel it towards the center, at which point it can be collected by a specialized vessel for recycling and resale, which will help fund the project in the future. Two main challenges were overcome to get the project to this point: modeling and materials. Modeling involved understanding the source, flow, and current position of the plastic. To collect this data, researchers used drifting sensors that provided two million data points per day, and this was compiled into some of the most complex 3D models developed. The challenge for the buoy and screen was determining the optimal shape and material composition to ensure they would be rigid enough to retain their u-shape, flexible enough to bend with the waves, and durable enough to still function after years of floating. Despite years of mathematical modeling, materials analysis, and rigorous testing, the team says their work is not finished, pointing out that a similar system has never been built before, and therefore its engineering process necessarily entails constant questioning and testing. The project has been in development for three years, involving government, universities, corporations, and individuals from around the world. In fact, much of the initial funding came from individual donations. The project’s website states that the project raised $2.2 million from 38,000 people in 160 countries, “becoming the most successful non-profit crowdfunding campaign to date.” The donations helped fund both marine and aerial expeditions to map the distribution of the plastic, scale model testing, and launch a prototype in the North Sea in 2016. The expeditions produced the most accurate data on the Great Pacific Garbage Patch, including high-resolution images, all of which will be published in early 2018, as they are still under scientific review. The system is scheduled to be deployed in May 2018, and its creators claim it will be able to clean up half the patch in just five years. By 2020 they aim for a full-scale deployment into each of the five patches. 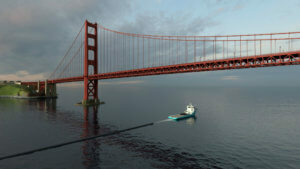 While this project seems like a promising solution to the ocean’s garbage problem, the team at Ocean Cleanup stresses it might not be enough. Specifically, to be effective the cleanup should be combined with a reduction in disposable plastic use on land.